Home Metro Rail Projects Delhi Metro Delhi Metro Rank Seventh Busiest Metro Rail Network In The world. With 346.3 million passengers Tokyo Metro is ranked first, With 236.9 million Moscow Metro is ranked second and with 204.4 million Shanghai Metro is ranked third. New Delhi, Metro Rail News: The Delhi Metro Rank seventh busiest metro network in the world according to the number of passengers. 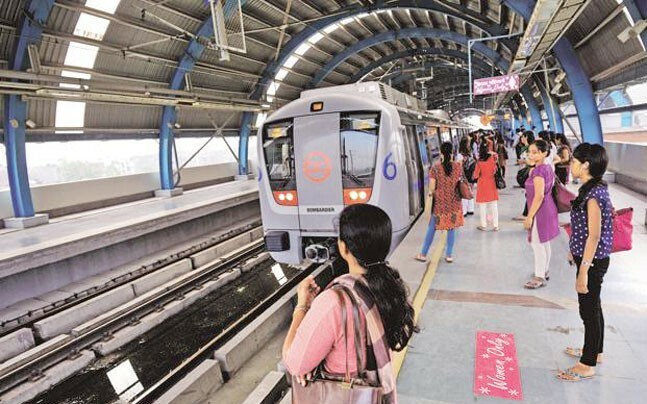 The latest report from the Union Internationale des Transports Publics (UITP) shows that 178.9 million people traveled through Delhi Metro in 2017 and so that it rank the seventh busiest metro rail network in the world. According to the report of the year 2015, the name of the Delhi Metro was not listed in the top 10. Although, according to the data of the Delhi Metro Rail Corporation (DMRC) website, it was ranked 10th in the world on the basis of statistics of March 2017. According to UITP statistics, 7 out of the top 10 busiest metro networks are in Asia. With 346.3 million passengers Tokyo Metro is ranked first, With 236.9 million Moscow Metro is ranked second and with 204.4 million passengers Shanghai Metro is ranked third. Beijing Metro is ahead of India with 198.8 million, Seoul Metro 188.5 million and New York City Metro 180.6 million passengers. Guangzhou Metro, Mexico City Metro, and Hong Kong Metro are also in the top ten. It has been said in the report that due to the rapid expansion of the metro network in China and India in the recent decade, unprecedented expansion has been observed in the processing of transport. Expansion work in these two countries continues. Since the UITP 2015 report, the Delhi Metro has made its space in top 10 metros by removing the Paris Metro. Moscow has risen above the metro ranking while Beijing, Shanghai, Seoul, Guangzhou, and Mexico dropped below. According to the length of the metro rail network, Delhi Metro was at 15th rank by the end of last year. the Delhi Metro has come up further in this list With the introduction of services on some new lines this year. The report also said that it is expected to join its top 10 in the year 2018.